wind headed for Mollwitz. During the march, the Prussian officers saw the general Römers’ Austrian cavalry and left of it a partially developed and partly only developing Austrian infantry. Prussian first line was put forward, and the heavy artillery batteries unlimbered and opened fire." Just click to open corrected counters. Stuka Joe explains the game rules. Begining of the Introductory scenario. Special thanks to MJL. The "Bloody Fields of Mollwitz" is the first game in the tactical battle series entitled The Battles of Enlightenment, representing the first battle of Frederick II, King of Prussia. 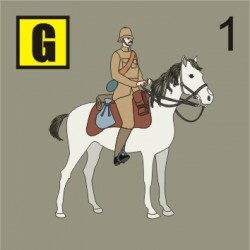 The game is divided on the activation phases, in which the players first can change the order of the commander, and then move troops belonging to the commanders of the wings or infantry line (the same are treated Hussars regiments and artillery). 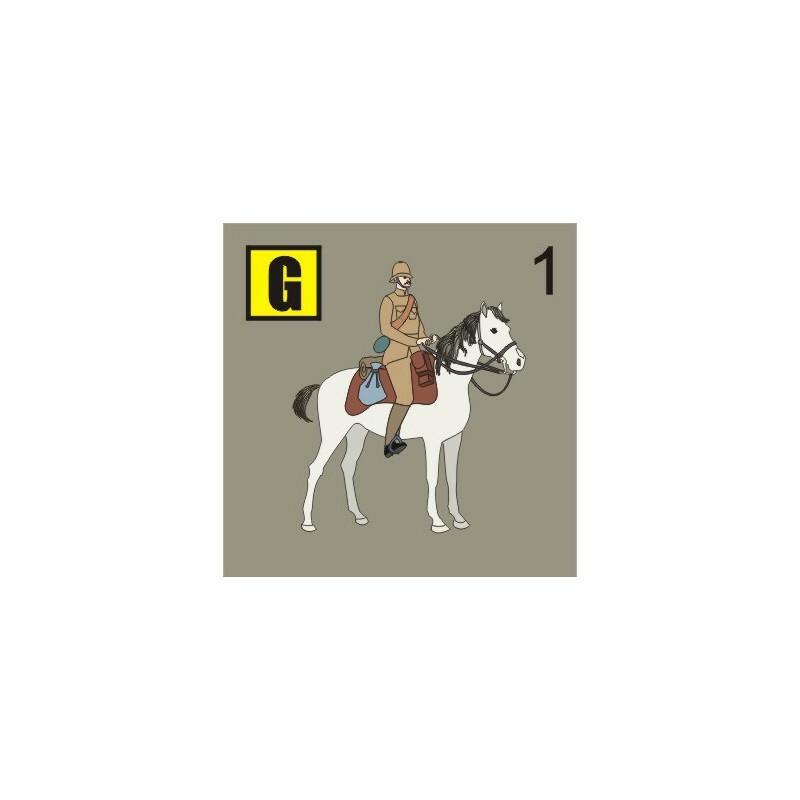 2) activate infantry / cavalry or artillery moving it first and then carrying out the combat. Inactive player may respond by performing cavalry countercharges. Infantry can react with fire. Also in this phase employed to rally broken units and moving commander-in-chiefs. The principle of the game is based on an order system. The player must carry out the assigned order (of course, he gives them to himself), until the order is changed by the Commander-in-Chief, or the wing/line commander manages to change it by himself. The possible orders are: STOP, MARCH, ATTACK. In the historical scenario it will be possible to give two additional orders: MARCH (IN MARCH COLUMN) and DEVELOP. The game distinguishes the tactics used by the Prussian and Austrian armies, with particular emphasis on platoon fire combat used by the Prussian infantry. Zone of Control works similarly to other games with the exception that the infantry ZoC does not stop cavalry units, but allows the infantry to fire at the moving cavalry. Movement is identical as in other games in the hex-and-counter system. The game discerns fire combat and melee combat. Infantry and artillery fire combat is based on the shooting unit current morale level - it results in a loss of morale level of the fired upon opponent. Melee combat is based on morale checks: first the attacker checks his morale, if he gets a positive result he initiates the melee combat. Then the defender checks his morale and if his result is positive the attacker checks his morale again (by checking the effects of the lack of success). Cavalry (except hussars) can only attack in melee. Their attacks are resolved in the same way as infantry melee combat (with the exception resulting from the option to counterattack). The loss of morale level is indicated with special markers. When the unit loses morale is broken. Hypothetical 1 and 2 - two armies face themselves already developed on the battlefield. 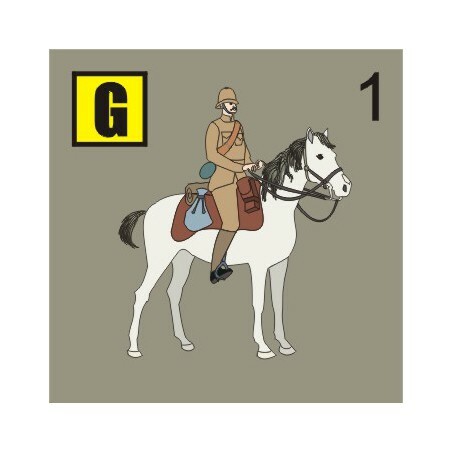 1 counter = infantry battalion/cavalry squadron (hussars: 1 counter = two sqds)/artillery battery.